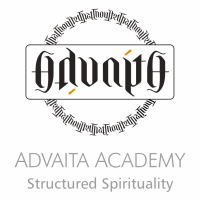 Advaita Academy is a not for profit institution established for promoting the study of traditional Advaita Vedanta. The primary goals of Advaita Academy are to provide traditional scholars, teachers & Gurus, necessary technological, logistical & administrative support for conducting classes, courses & retreats. And to establish a Gurukul offering three-year courses in traditional Advaita Vedanta.